You may have talked about making these changes. Perhaps this is the year to actually make them happen? Tax season is upon us and many consumers — particularly homeowners — across the country are filing their tax returns and anticipating a refund. According to a 2016 survey by NeighborWorks America, two-thirds of taxpayers expect to receive a refund in 2017. What should a homeowner do with their refund? Here are three ideas. Build a home emergency fund. No matter the amount of a refund, homeowners should look hard and long at setting aside a portion of their cash for their homes. According to studies by the Federal Reserve and others, millions of Americans, including many homeowners, don’t have a $400 cash reserve to cover unexpected emergencies like a water heater or other major appliance needing to be replaced or repaired. Because home prices have been increasing since the Great Recession and income growth has not been keeping pace, buyers have been less able to set aside money for the eventual costs that being a homeowner entail while saving for a down payment. While most mortgage lenders require that homeowners have a reserve fund in place when they purchase their home, over time reserve funds can be drawn on for other expenses. Essentially, an out of sight, out of mind mentality sets in when everything is going well with the home. But home repairs can be costly, and not planning for them could be a sudden financial burden. For example, experts recommend that heating and air conditioning systems are checked each year at a cost usually less than $100, and serviced every few years — at a cost of few hundred dollars — but if these systems break down and need to be replaced, the costs run into the thousands of dollars. Pay down mortgage and credit card debt. Twenty-one percent of consumers in the NeighborWorks America survey said they would use their anticipated tax refund to pay down debt. 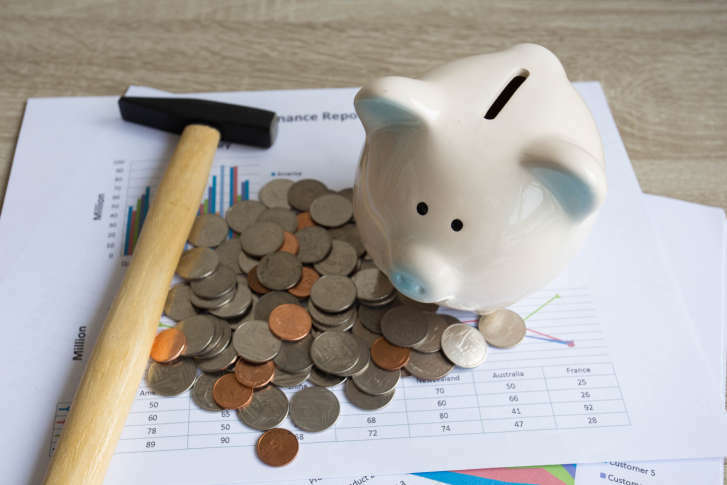 Once an emergency reserve fund has been established, paying down debt is a top recommendation of housing and credit counseling organizations around the country. Credit card interest rates far exceed what a homeowner could earn in a savings account. Although 60 percent of people don’t carry over credit card debt — and thus pay no interest — 40 percent of people do, and many of these are homeowners. Paying off credit cards as soon as possible can save hundreds of dollars or more in a given year. Homeowners who regularly choose to put a little extra into their mortgage payment each month could shave years from their 30-year mortgage loan. It’s especially important to think about paying more on an adjustable-rate home equity line of credit. The Federal Reserve Bank of New York reported more than $470 billion of HELOC debt outstanding as of Sept. 30, 2016. Many homeowners who have a HELOC will soon see their payments change from interest only — when none of the principal that was borrowed is being repaid — to a fully amortizing loan, where principal and interest is expected to be paid each month. The fully amortizing loan will cost considerably more. Add to your retirement account. Many homeowners consider the rising level of their home equity as a major part of their retirement plan. But millions of homeowners, particularly low- and moderate-income homeowners have not seen their home equity recover from the Great Recession. In fact, real estate information company Zillow reports one out of 10 homeowners owed more on their homes than they were worth in the third quarter of 2016. Importantly for homeowners whose houses are priced below the median level for their metropolitan area, the depth of negative equity is even greater — about 16 percent, according to Zillow. Home values are growing in these markets, but there is a long way to go. Given that, homeowners who have the option of putting money aside for retirement should strongly consider that choice. Even if the refund that’s invested in a retirement account is small, every dollar set aside matters. Keep in mind that the money will have a chance to grow, particularly if there are several years or even decades before retirement. There is help available to homeowners who struggle to navigate through these and other important financial choices. Housing counselors from nonprofit organizations across the country are expanding their delivery of financial capability programs; essentially one-on-one coaching that helps consumers set and stay with short- and long-term financial goals. Hundreds of these nonprofit organizations also are offering free tax preparation services to qualified homeowners. Going into these offices to have taxes filed can pay off in other ways many years down the road.